Australian captain Steve Smith on Tuesday offered beer to IPL teammate Ajinkya Rahane and the Indian team, after the end of the bitterly-fought Test series against which host won by 2-1. Smith, who apologised for letting emotions get the better of him throughout the series, also had a brief chat with India's stand-in captain Rahane after the game. 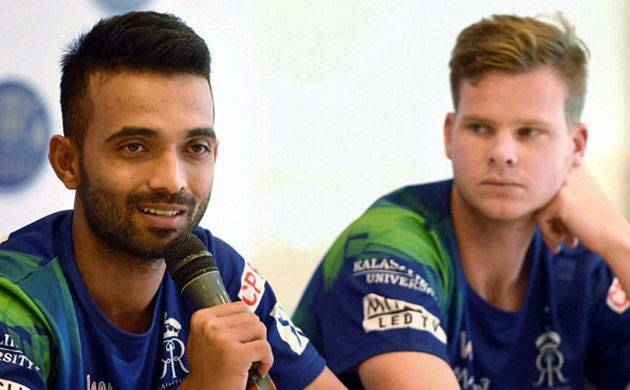 "I said (to Rahane) see you next week, he's in my team for the IPL," Smith told ABC Grandstand. "I asked if he wanted us to come in for a drink being at the end of the series. He said he'd get back to me. With Ajinkya, we get on well. He's in my IPL team so I'll be with him for the next few weeks," he said of Rising Pune Supergiants teammate. It's part of Australian culture to have beer with rival players once the contest is over. While Smith was apologetic, rival captain Virat Kohli gave a fair indication that the hostility between the two teams would not end anytime soon by saying that he doesn't consider Aussies his off the field friends anymore. "No, it (the friendship equation with the Aussies) has changed for sure. I thought that was the case but it has changed for sure. As I said in the heat of the battle, you want to be competitive but yeah I have been proven wrong. "The thing I said before the first Test, I have certainly been proven wrong and you won't hear me say that ever again." said Kohli.